Thank you to Bill Wilson, Jim Carretta and Mark Bancroft for their assistance in the Agility Work section. 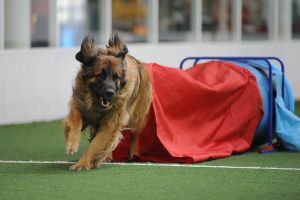 It would seem large dogs would have an advantage in competitions because of sheer body size, but this is the factor that works against them. 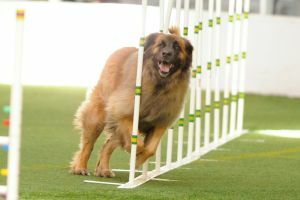 It is incredibly difficult for these dogs to shove their huge bodies through tiny collapsed tunnels, and even weaving through poles is challenging for these big guys. 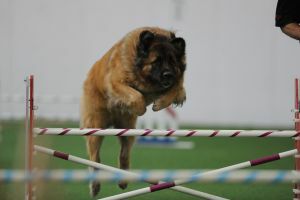 Larger dogs excel at jumps because their longer legs carry them over the hurdles swiftly and accurately.